Olympus’s OmniScan MX2 is taking the success and benefits of OmniScan MX, and redefining it into a brand new superior solution. 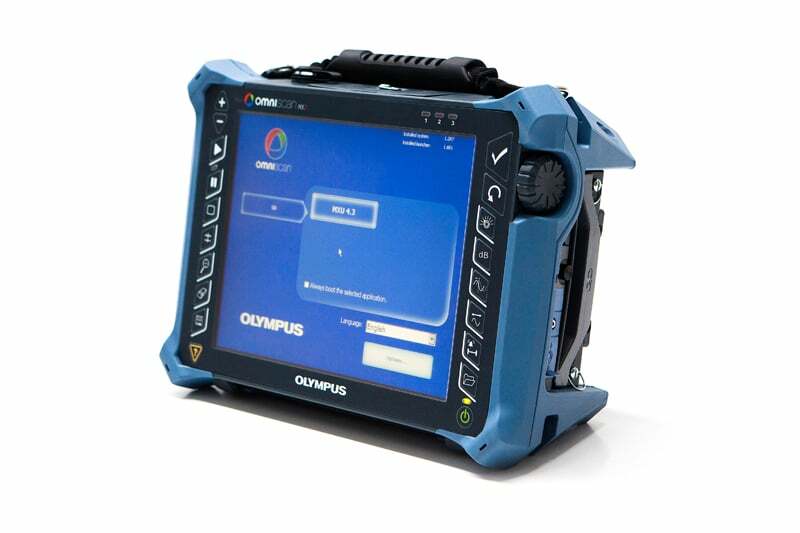 Based on a solid foundation and manufactured with ten years of knowledge and leadership in the modular NDT test platform industry, this tool offers great testing efficiency and superior, advanced UT application performance; it offers easy setups, fast cycles and convenient reporting. You can rely on the OmniScan MX2 for a simple and speedy setup process, which is simplified further with its intuitive step-by-step wizard – giving you more time to concentrate on the testing procedure. 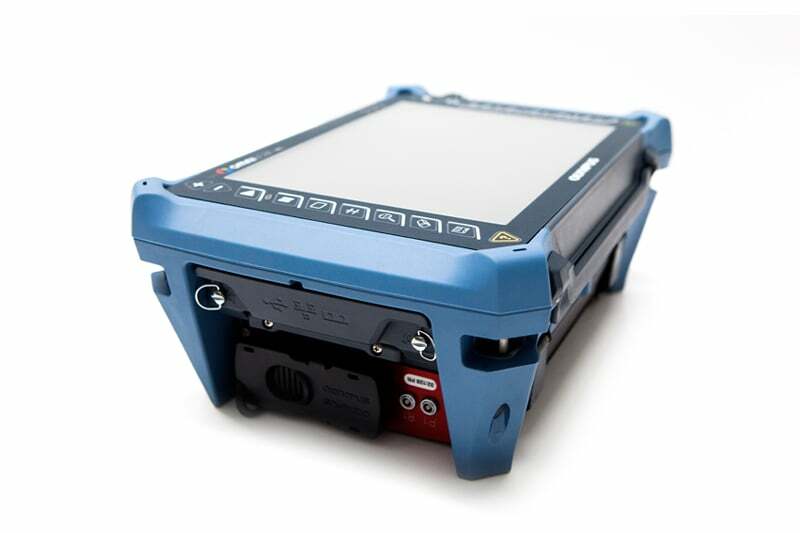 Its industry-standard phased array user interface delivers speedy performance on a large, quality 26.4 cm screen with modern touch screen capabilities. With its multigroup capability, two-axis encoding and data archiving capacity, the OmniScan MX2 is designed with integration and compatibility in mind. It allows you to combine its features with other critical components to form an inclusive inspection system. Its product range includes phased scanners, array probes, analysis software and various accessories. All its inspection results are available immediately, which enables you to identify problems easily and fix them immediately. This instrument is also universally compatible with more than ten phased array and ultrasound modules. The new PA2 phased array module features optimum phased array and TOFD signal quality, as well as the ability to use PA and UT channels simultaneously. The modern UT2 conventional ultrasound module offers the same UT-channel technology as PA2 modules, but with double the amount of channels. Olympus has been dedicated to providing several complete market-related solutions that satisfy their customers’ needs, and the OmniScan MX2 is no exception. It provides state-of-the art solutions for pressure vessel weld inspections, small-diameter pipes inspections, manual and semi- automated corrosion mapping, and composite inspections. Contact us to find out more about the high-end, next-generation OmniScan MX2, or any of our other ultrasonic flaw detection equipment, or request a quote online. Compatible with MXU 4.0 and later, MXU 3.1, MXU All versions, MXU-M 3.1 and previous models. The Ectane 2 improves on the multi-technology Ectane® instrument; this is the next generation of surface array and tube inspection test instruments. 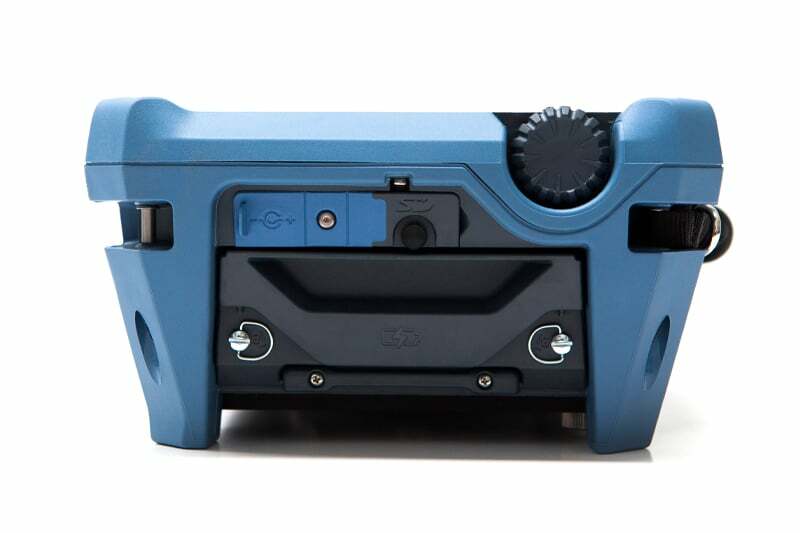 The CRx25P portable computed radiography scanner creates high quality digital images in seconds. 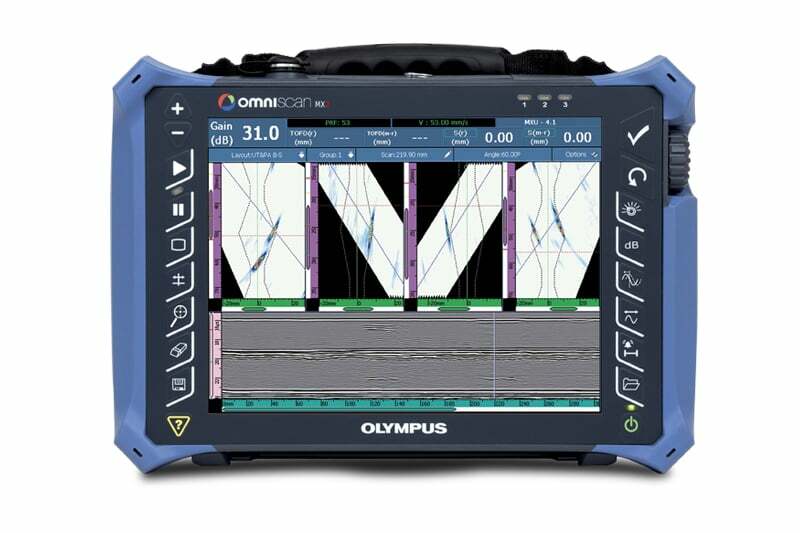 The Mentor EM is the cutting-edge in eddy current testing technology featuring superb signal-to-noise ratio for clean and sharp signal, and high-resolution display.